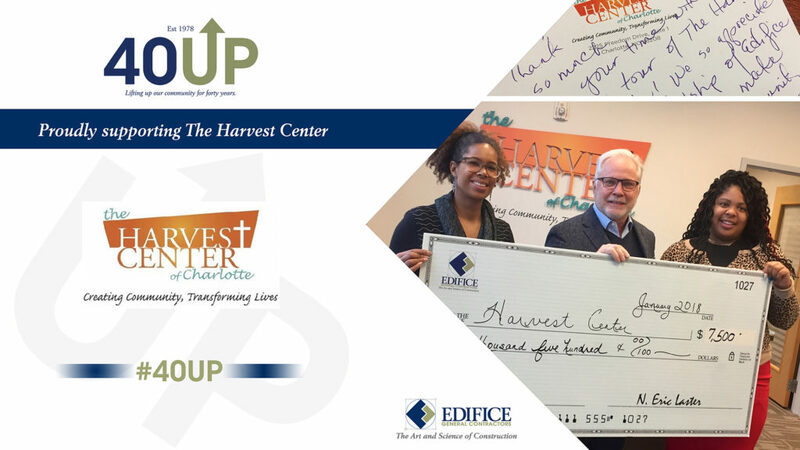 Through our #40UP program we are pleased to support The Harvest Center of Charlotte with a donation of $7,500. Located on Charlotte’s west side, The Harvest Center provides resources and opportunities to homeless men, women, and children. They offer a three-pronged approach to serving those in need. The Harvest Center engages their guests through hot meals and spiritual teaching. They relate to their guests through classes and community service referrals, and they transform their clients through a six-month comprehensive transitional housing program. To learn more about how you may support this organization, go to: http://theharvestcenter.org.